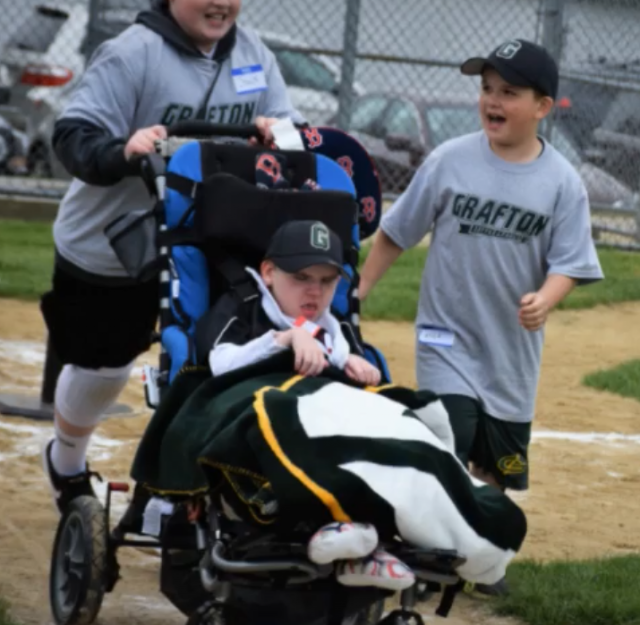 Updated Thursday May 17, 2018 by Grafton Little League. And a big thank you to Mother Nature for holding back on the heavy rains until after our first Challenger game yesterday! Even though it was damp and chilly it clearly did not detract from the day as evidenced from the laughs and smiles on the faces of everyone. Our team photographer, Amy O’Neill, captured the day fabulously and has provided a slideshow to music and a link to the pictures for your enjoyment. Links below.